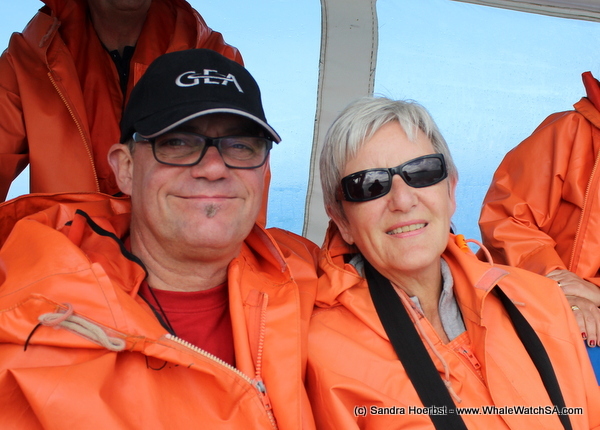 The day did started with a calm sea, but the wind speed picked up and it was a bit choppy at the end. 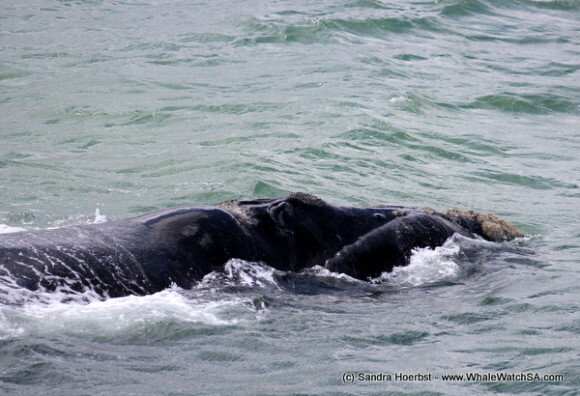 We had Southern Right whale sightings all over our whale watching area. 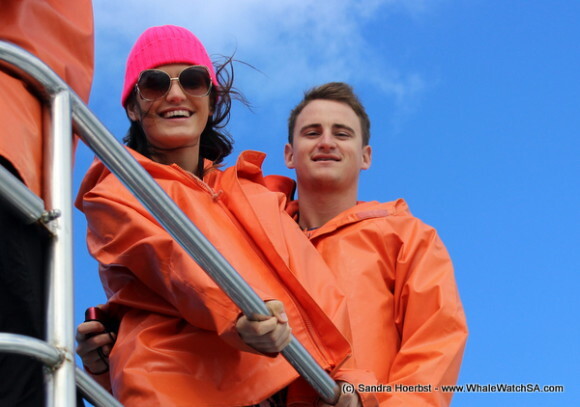 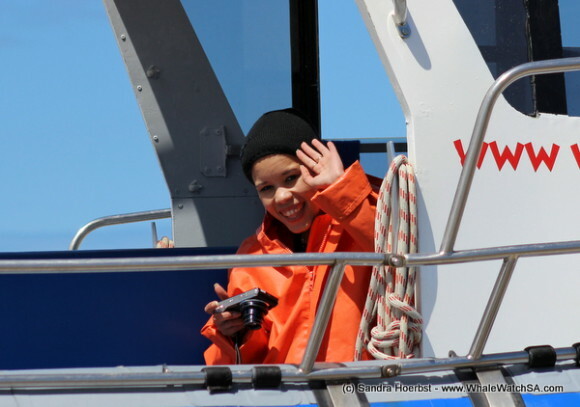 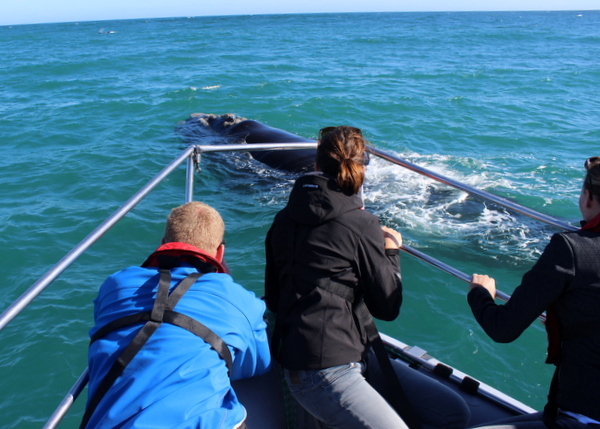 All the whales we spotted today were super relaxed around our vessel the Whale Whisperer. 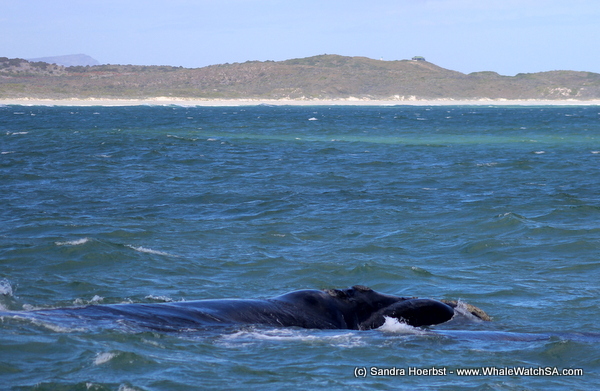 On our second trip we were also lucky and spotted a few Humpback dolphins shortly after leaving the harbour. 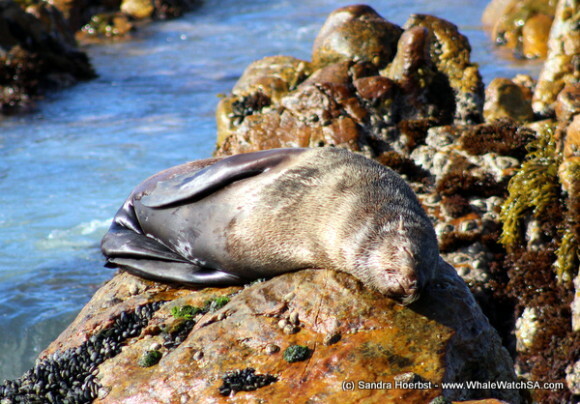 On Geyser Rock we watched the Cape Fur seals fighting with each other. 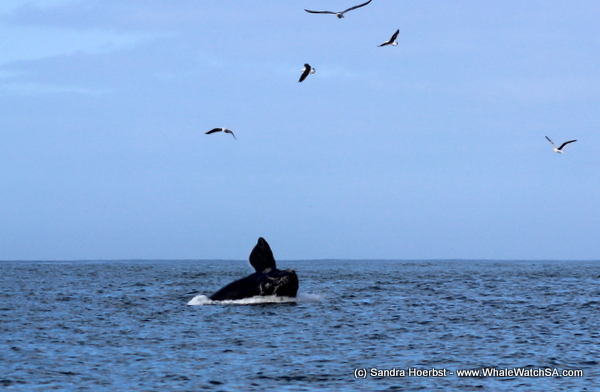 Some of the seals were in the water playing and having a closer look at our boat. 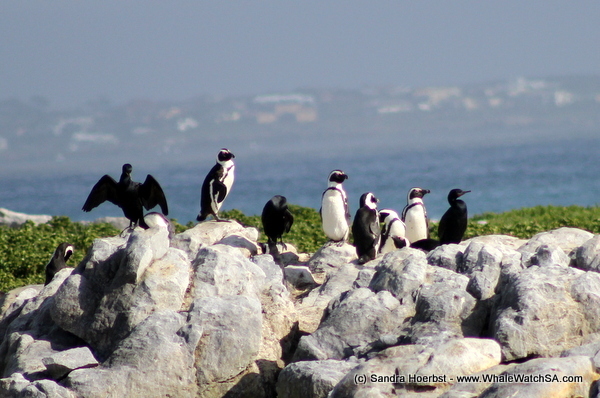 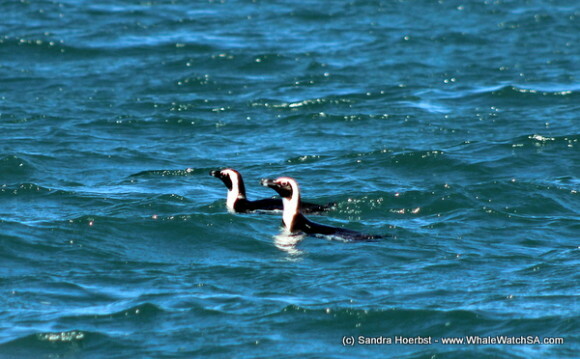 On the way to Dyer Island we saw some African penguins swimming towards the Island where we saw some more sitting on some rocks. Can’t wait for another sea day.